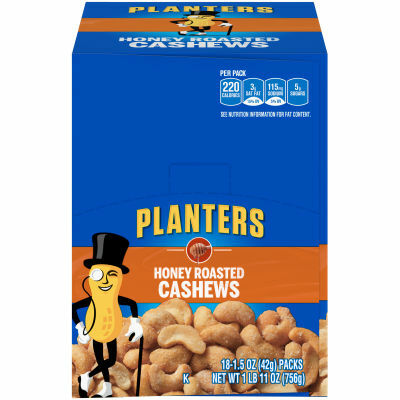 Planters Honey Roasted Cashews for Sweet with a Salty Edge - Golden honey roasted cashews with a delicate sweet flavor are seasoned with sea salt to raise the bar on your snacking habits. The Heroes of Wholesome Snacking - Cashews provide a perfect alternative to the empty calories of most junk foods. Enjoy these Planters Honey Roasted cashews whenever you have a snack food craving for a sweet and salty taste.